This is a quote from Yam Regev’s (co-founder of Zest.is and CMO at Webydo) article on “Product growth at risk: Bots and algos vs. the human factor”. I started to think about his opinions and experiences. He told me to write about it from the marketing automation perspective so I did it: I’m sharing my thoughts on the human factor as a person who works for a marketing automation company. The lean startup methodology proves why mass production is changing to a completely different way: producing in small batches can be very effective as it is able to react to the market needs rapidly. The same happened with communication too in the past 30 years and it is continuously changing. Let’s focus only on the 4th C for now. Promotion is a process of sending out messages and target people with it. It is a one-way channel where you are shouting continuously at your prospects and try to make them buy or just pay attention to your messages. It still works: interruption marketing is based on this approach. But as you might’ve experienced, grabbing the attention of prospects is just not enough nowadays. Inbound marketing shows you the methodology to educate, nurture your prospects and qualify them with your own contents and their behavior. It approaches the notion of “communication” because you try to share the right content with the right prospect at the right time. So you react to your prospects’ behavior with your contents: you start a two-way communication channel where you observe your prospects’ behavior and you try to react to it. As a result, you will build a better relationship, a “marketing that is loveable” as Hubspot stated. But real communication happens when your prospects can give you feedback, tell you their pains, problems or just looking at you. That is the point, where the magic happens – communication becomes truly personalized, interactive and targeted. You can try to sell a product to a person (or company), but if your competitors have focused, personalized product, you will fail. This is where startups can easily beat big companies: targeting niche markets which can’t be provided by a general solution but by a very focused one. No one can ever compete with that in that specific market. We had to move from the 4 Ps to the 4 Cs not because others started to do it but because the social context is changing. The way people interact with each other and with brands is started to focus on quality over quantity. Not surprising that companies started to use more and more influencer marketing tactics: influencers have real relationships that are built on real interactions and two-way communications. The reality of the relationships understandably worth much more than a mass that has a general interest. The same applies to the startup world too: Authentic, little brands can have a huge impact because they built on real relationships, that is based on “real communication”. This type of approach is not new but this is the main advantage of smaller companies: they have the ability to adapt to the market needs very rapidly as they have to do it in order to survive. A big company won’t be able to develop new features or change them as fast as these small businesses as they already have the constraints of the mature bureaucratic organizational structure. Personal interests will always influence the overall results if they not aligned well – and it will become more and more difficult as a company grows. The size of the company will also lower the effectiveness of the internal communication: the channel noise will slow down the messages and distort them. Did you know that (for example) G.E. launched lots of spin-off startup projects like Current? They not only invest in external startups but they try to develop their own startups from “intrapreneurs”! Why? Because a small business has to communicate both internally and externally effectively. They can easily do it by using one-to-one interactions internally and externally too. This assumption leads to a logical next step: the most effective way of communication in small businesses is the quality over quantity. They simply need to get more out of the relatively low number of prospects. No time for creating features and tools that nobody wants. But they don’t have the resources to compete with the big companies’ general tools too. On top of everything, convenience is becoming more and more important for buyers. Who would like to use a vacuum cleaner that can do the washing up too? Especially if it takes more time to calibrate it from vacuum cleaning to dishwashing mode than just simply doing the dishwashing manually? Maybe it is not the best example (although’ it’s funny), but still… What would you choose: a dishwasher that cleans your plates automatically just by pushing 2 buttons or another solution that takes even just 10-15 minutes to re-calibrate? You have a pain that is solvable by a not convenient tool but most of the people would probably go with the easier solution. You need a convenient, easy-to-use, focused solution. How to implement this approach? You probably already do it without noticing it. But it needs to be articulated. How to build these focused products? One way doing it is conducting customer development interviews. It is a not controlled way of getting qualitative information with the help of one to one communication. There are lots of other ways to do it but the human, one-to-one communication will always give you super deep knowledge. How to position a product? Positioning is nothing more than a perception that is established in the prospects’ minds about your company (not the tool). And yes, it is built up during the communicative actions happening between your company and the prospect. Also, it is affected by communications online between other people about your company. So basically, you need to be there and answer their questions – which can’t be automated. How to satisfy a prospect? Lincoln Murphy has a great approach on that with the notion of “customer success”: you need to provide a solution that helps your prospects reach their desired outcome. It means that you look at what your customers need to achieve (that is their required outcome) and how they want to achieve it (appropriate experience) so they will achieve their desired outcome. He also emphasizes that “customer success is when your customers achieve their Desired Outcome through their interactions with your company”. And when we talk about “interactions” a very big part of it is the communication and the human factor of it. Not to mention that these interactions will have a huge effect on your client retention rate that is a very important part of a sustainable growth. There are lots of interactions internally and externally that can’t be “hacked” – it just requires the human factor. Internally, you have to discuss the topics on “topic focused, optimized channels” to maintain fast, effective communication. One part of it can be automated: notifications to your colleagues that a prospect is qualified for sales, announcements that share happenings but doesn’t require reaction and lots of similar things. But the main things simply can’t be automated: you need two-way communication, debates – interactions basically. You need the human factor that will improve your business’ effectiveness and drive growth as a whole. Externally, you can use different tools like Buffer, LiveChat, Automizy, etc. 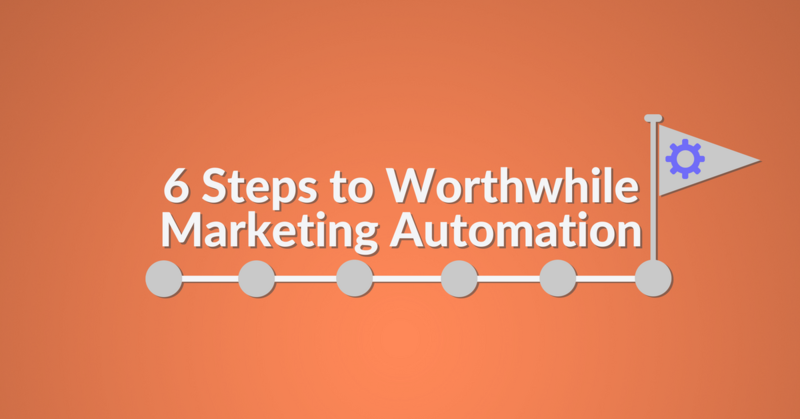 to automate your marketing. They can be very efficient, personalized and timely. But you will fail if you use these tools to only minimize the human factor of your marketing and sales efforts. Quality, two-way communication can’t and shouldn’t be avoided – so basically you can use these tools to facilitate the human factor not to hack it. Just accept it: no matter it is about internal or external communication, automation is nothing more than trying to communicate at high scale. The same applies to algorithms and bots too. 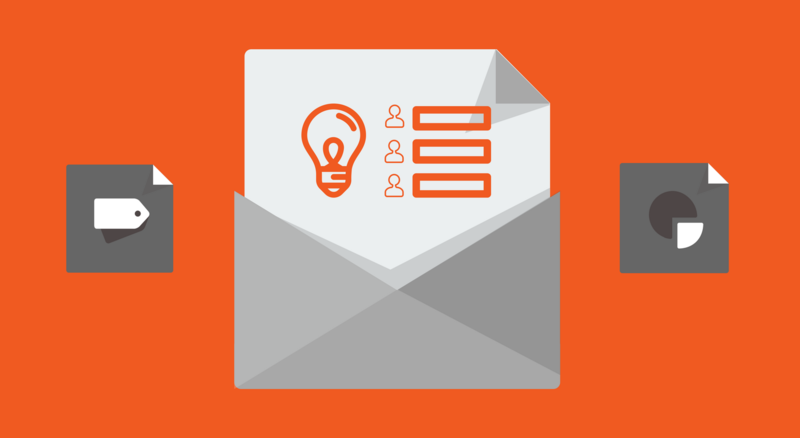 You know that sending relevant, personalized messages need data. So you try to continuously collect client related data to set up data driven communication actions. But personalization not only requires data but problem focused data. That is we call information: dashboards and tools are great for summarizing the data and help you identify the bottlenecks by highlighting different KPIs. But data and even the information is nothing without interpretation that can be done only by you. The way you communicate stems in the net of internal and external communication performed by people’s real communication. So no matter how you can hack SEO with artificial intelligence, how you can optimize the posting times of your blog posts, how you can optimize your drip campaigns with algorithms, how you can automate your lead nurturing and onboarding with marketing automation, how you can use chat bots to help your users… you will always get back to the human factor. Because those are just channels – interface types of communication. Marketers usually pay attention to the newest technologies and mediums to hack the system and be the first one on a good platform. But please never forget that communication is human driven at its core. And a big part of relationships built on real communication acts. Which is why need real, one-to-one communications internally and externally. Without it, you will have nothing more than a faceless, old, not sustainable business. Choose the technology for your communication purposes and do not choose the technology because it’s cool. Therefore – although’ I work for a marketing automation company – my opinion on this is that lots of people misunderstand the pain marketing automation solve generally for them. It’s not about saving the time of communication internally or externally. It’s all about facilitating these valuable interactions. 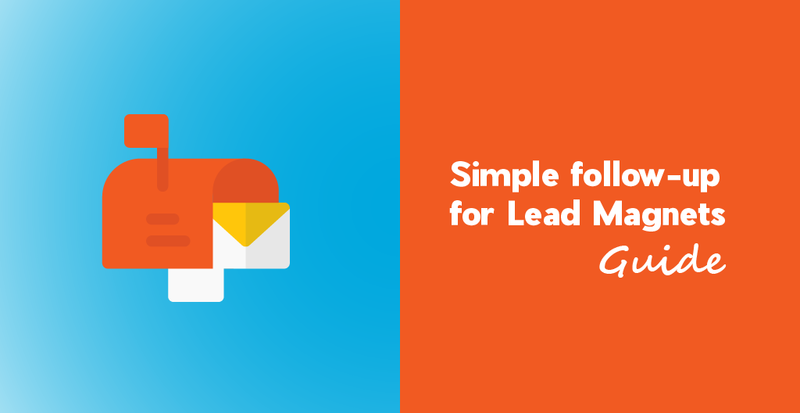 Stop wasting your time on emails that appeal to the masses! Get started with strategic automation today!